Some will have you believe that hi-fi as we know it is on its way out, replaced by small speakers, Bluetooth whatnots and streaming services, but having done a bit of busman’s holiday in the huge Bic Camera and Yodobashi Camera stores here in Kyoto, it was hard not to be impressed by the sheer range of products available to keep audio enthusiasts salivating. From a wall of electronics to as many speakers as you could ever want to see in one place, they were all still there, including some emphasis on hi-res audio, centred around the Sony products launched around 18 months back, but with other manufacturers making a showing – including promotions for the new Technics ranges. 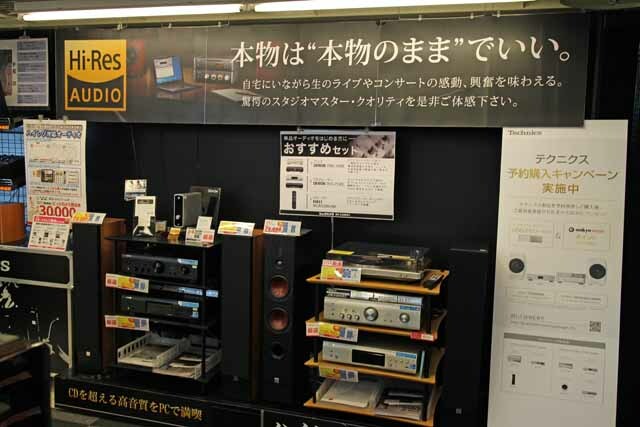 Bic Camera held a launch event for the Technics R1 Reference system and C700 Premium line-up a couple of weeks ago at its store in Shinjuku, Tokyo. Over the course of the day, groups of ten enthusiasts got the chance to spend an hour hearing the systems and the thoughts of Technics chief engineer Tetusya Itani (pictured above). 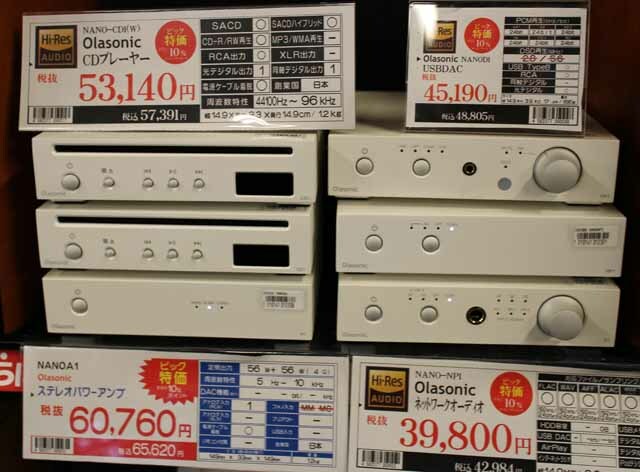 I was very taken with these little NanoCompo products from Japanese company Olasonic, including a little DAC, amplifier and CD player, all in matt white and just under 15cm wide – very cute. 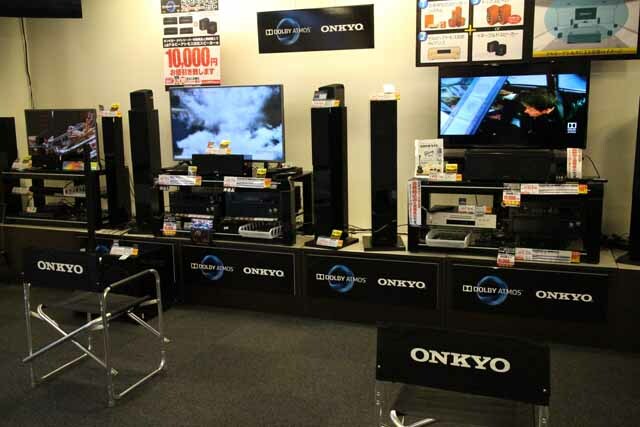 … and here’s the strong showing from Onkyo, based just an hour or so away in Osaka. Finally, just in case you want to keep it personal, here’s just a small area(!) set aside for headphone auditioning, amidst a section where there must have been at least a thousand models on display. 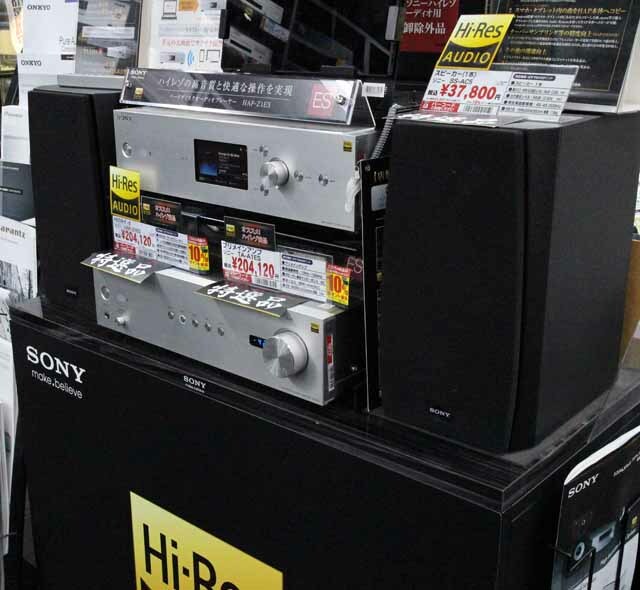 Looks to me like audio, from conventional to hi-res, and from big speakers to serious cans, is set to have a pretty good 2015 here in Japan. a) Yes, in Tokyo – but I’m not in Tokyo. 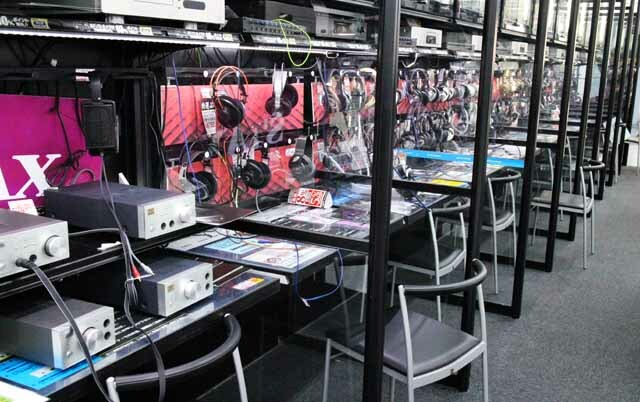 And Akiba’s not what it used to be for hi-fi – now much more about computer games and the like. b) None whatsoever – in fact I’m not even aware of that site. 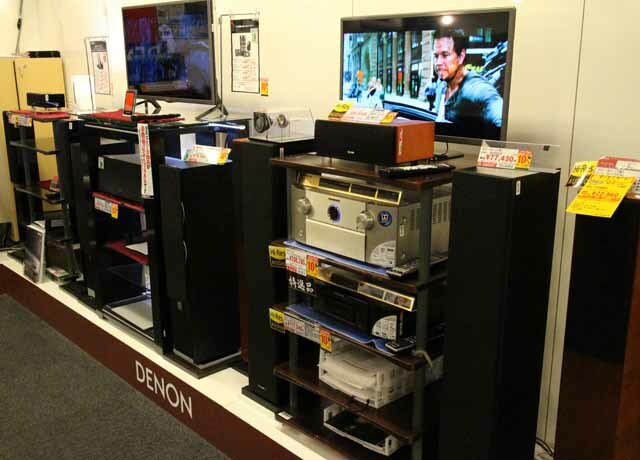 looks like a mini-renaissance in Japan. Hats off to them for trying to put 2-channel back where it belongs — nose-to-nose with multi channel. 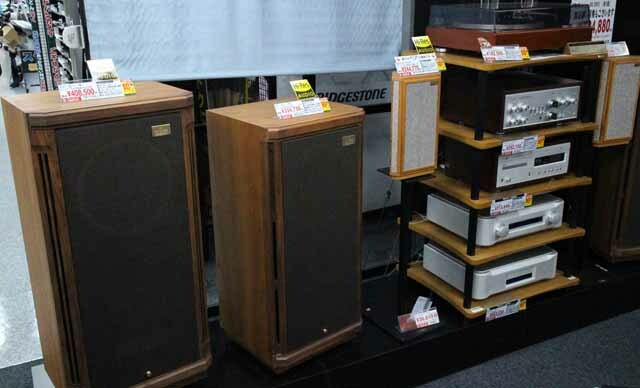 It looks like Japan’s equivalent to Richer Sounds (a bit more high end). 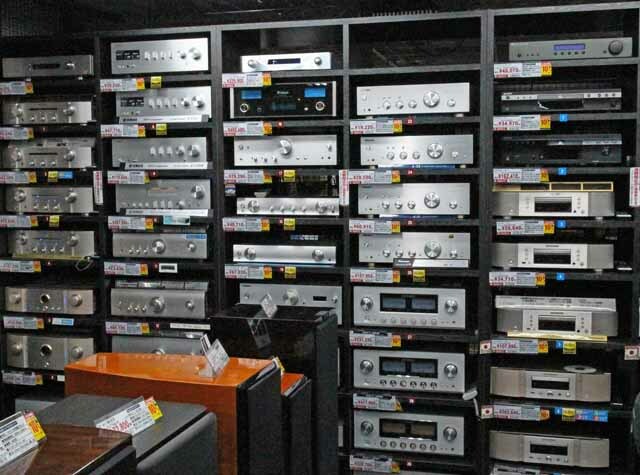 The UK Hi-Fi magazines are full of expensive 2 channel audio large & small speakers , amps dacs etc someone must be buying otherwise the manufacturers would go out of business. No doubt most British brands go for export ,they can not survive on UK sales. 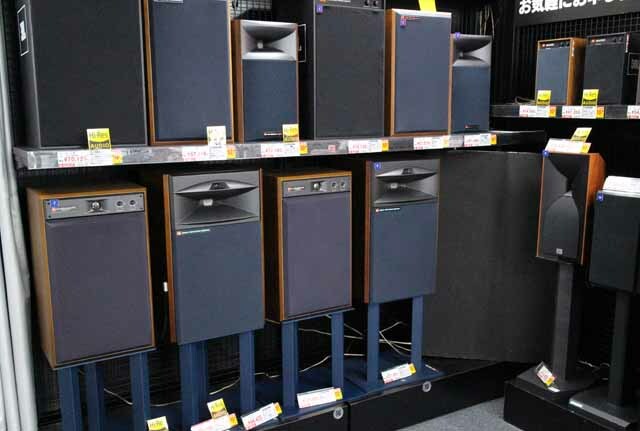 I was in Tokyo just before Christmas and the popularity of sacd format struck me when I visited Tower Records in Shibuya, and Yodabashi Camera. 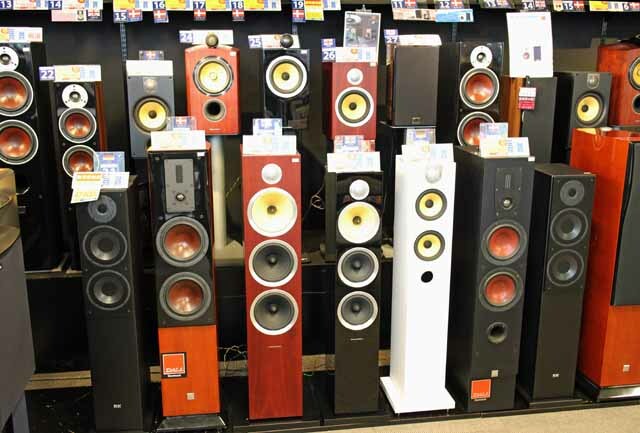 By the way, what does Andrew think of the big beast sacd players, yamaha cds3000 and CDs 2100 and Marantz SA11S3? SACD is best in mch I would not purchase a Stereo only SACD player. SACD is very good in stereo, too! mostly from The PENGUIN GUIDE TO THE 1000 Finest Classical Recordings. comments in brackets are from myself GB.